While Toad is active, when your opponent commits a character to attack, choose one opposing character who must also attack. If Toad blocks that character, cut its attack value in half (round down). “While active” effects are static effects that are in play as long as that character is in the Field Zone. The Attack Zone is a subset of the Field Zone, so “While active” effects are still active when a character is in the Attack Zone. “While active” effects are not cumulative, i.e. the effects only occur once regardless of how many of that character is active in a player’s Field/Attack Zone (however, if both players have the same character active, the effects will occur once for each player). Toad: Sniveling Servant's ability triggers every time your opponent commits a character to attack but Toad is not forced to attack by his ability. Toad's ability only works once per character committed to attack no matter how many Toad's are fielded, due to this being a "While active" ability. Characters forced to attack by other effects still trigger Toad's ability. If an opposing character would be required to pay a cost to attack, Toad's ability cannot force them to attack. Toad's ability does not create a chain reaction. Characters forced to attack because of Toad do not trigger his ability and make another character attack. ^ If legal, if able. Wizkids Rules Forum. Retrieved 7-27-2015. ^ Toad Sniveling Servant. Wizkids Rules Forum. Retrieved 7-22-2015. 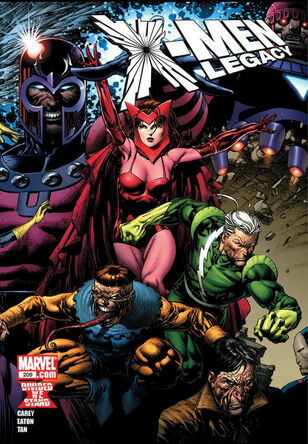 ^ X-Men: Legacy Vol 2008 #209. Marvel Database Wikia. Retrieved 25 July 2015.